The Norwegian mass-murderer responsible for the deaths of 77 people was "unremarkable" and "not very opinionated," one of his World of Warcraft guildmates has informed Kotaku. Last week, we profiled the virtual life of Anders Behring Breivik, who says at one point he spent an entire year playing Blizzard's massively multiplayer online role-playing game for 16 hours a day. Following the publication of that piece, one of Breivik's former guildmates sent me this letter (under request of anonymity). To clarify, the only guild that Breivik ever led was Virtue who were never close to being a rank 1 guild on Nordrassil EU. They were a social group who played the game in a social, non-competitive atmosphere. Breivik was able to gain influence in that guild and attempted (quite ruthlessly) to change the guild outlook to that of a competitive guild but ultimately failed with many members abandoning him. He joined Unit, the rank 1 guild, but was never in a position of leadership at any time during his membership. After the latter guild moved to Silvermoon EU, he left them to join a guild called Nevermore. He, again, never held any kind of leadership position with them (that guild still exists and is led by the same person who has led it throughout it's entire 6 year history). "Breivik has overstated his own status and importance within a videogame." 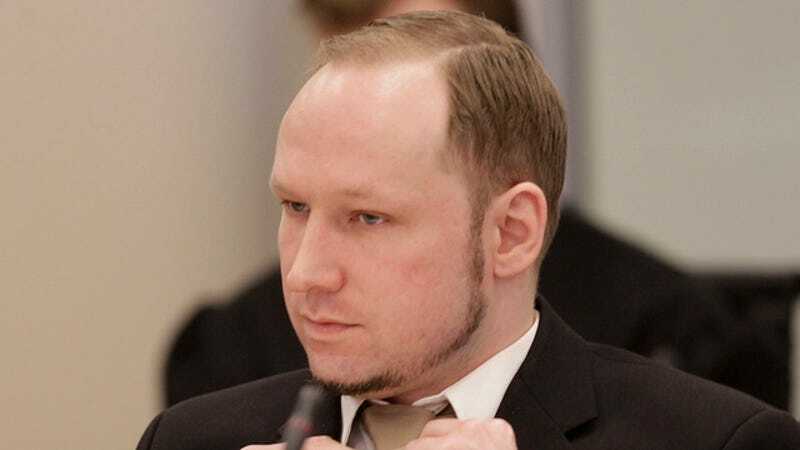 Breivik has overstated his own status and importance within a videogame. If he feels the need to do so in a fantasy environment, what does that tell you about his other claims e.g. successful businessman, stockbroker, high ranking member of an underground militant group etc? He is a fantasist. A very intelligent fantasist no doubt but a fantasist nonetheless. Behind him lies a history of failed initiatives but he portrays a different reality. One that doesn't highlight the fact that he was living with his mother while in his thirties, the very epitomy of the "basement virgin" slur often thrown at people who play online video games extensively. Yes I 'knew' him. Like everyone else, I thought he was relatively normal, although I often remarked that he seemed to have no life out with his existence in the game. He was unremarkable, not particularly outgoing and - for the most part - not very opinionated. There happened to be muslim immigrants who played in two of those guilds. He was particularly friendly with one of them, a Dutch Iraqi. He was a good player but not exceptional. He didn't speak a great deal except during late night conversations and, again, was not very opinionated. He would listen more than talk. He was, in truth, quite socially awkward particularly around female players. Given his one and only opportunity to lead a guild, he failed to inspire any sizeable majority. I've no doubt that virtual reality will be mirrored here in the real world.